The Czech Šumava National Park together with the German Bayrischer Wald National Park form one of the largest, connected forested areas in Central Europe. Many people know the area as the “Green roof of Europe”, because of its extensive forest landscape. 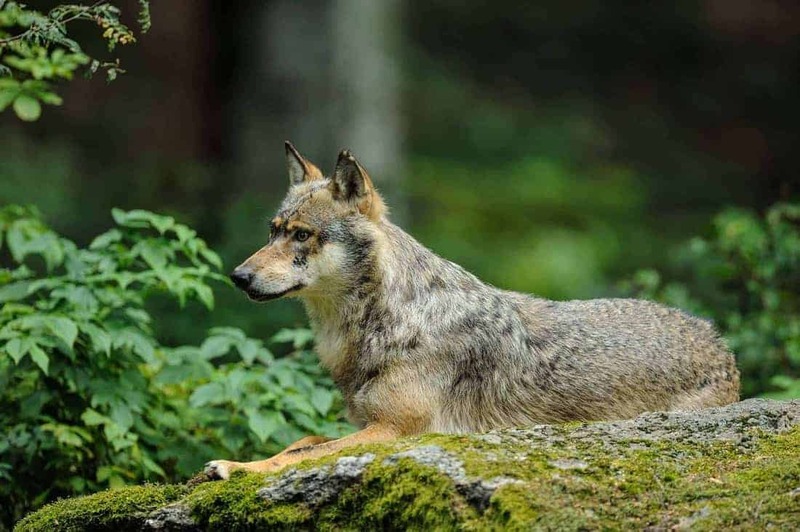 Šumava National Park recently decided to naturally regulate the area’s deer population with the help of the local wolf pack on 7 000 ha of its territory. This hunting-free zone borders the Bayrischer Wald National Park. The 68 064 ha large Šumava National Park and the 24 250 ha Bayrischer Wald National Park host some of the most pristine protected forest ecosystems in Central Europe. Mountain plateaus, canyon-like valleys, vast highlands, numerous bogs, glacier lakes and the riparian areas of the Vltava river characterise the Czech part of the area. The National Park hosts forests on about 80% of its territory and follows a Wilderness approach on parts of it. It also hosts remnants of a virgin mountain forest protected as a strictly protected forest. Because of its protected, natural landscapes, the park is the location of multiple scientific research and monitoring programmes on botany, zoology, and forestry. A strong focus lies on wolf monitoring, its territory, behaviour and diet. The diverse landscapes of the two National Parks offer numerous habitats for different kinds of wildlife. Among other animals, the border area hosts vast numbers of deer and a pack of wolves. According to the Šumava National Park, more than 1100 deer were hunted during the last hunting season in the National Park. The presence of a wolf pack in the National Park lead the Park management to the decision to re-evaluate the deer hunting strategy in the park. The management recently decided to shift to a more Wilderness based approach. This means letting nature take charge – ‘self-willed land’. The management particularly counts on one natural hunter – the wolf. The National Park determined a new 7 000 ha large area where human hunters do not control the deer population anymore. Here, only wolves will regulate the local deer population. The aim of installing this hunting-free zone was to create a sufficiently large area without competition to offer enough natural food for the wolves. The park management also expects that this measure will reduce wolf attacks to livestock. However, the park director mentions that such attacks can never be eliminated completely. The park management is currently developing a new concept for wintering grounds for the deer population as well. The Czech National Park closely cooperated with the neighbouring German National Park for the development of this new hunting strategy. Red and roe deer as well as wild boar play an essential role in the Central European wolf diet. Central Europe hosts massive populations of deer that regionally impact forests in negative ways. High game pressure particularly affects the rejuvenation of trees. Natural predators, like wolf, lynx and golden jackal, play an essential role in the natural regulation of deer populations. The Swiss Calanda wolf pack demonstrates this perfectly. However, human hunters do not always welcome their support. This courageous project of the National Park Šumava will provide a great opportunity to see nature work without human intervention. Additionally, the Wilderness quality of this area will significantly benefit from this decision. This is because by definition, Wilderness is an area of land governed by natural processes. These processes include factors such as disease, natural disasters, and of course having a natural prey-predator system.